For more than 120 years a coal post stood at the junction of Warrengate Road and Hawkshead Lane in the Hertfordshire parish of North Mymms. In the early 1980s it disappeared. Since then, mystery has surrounded what happened to the historical listed landmark. 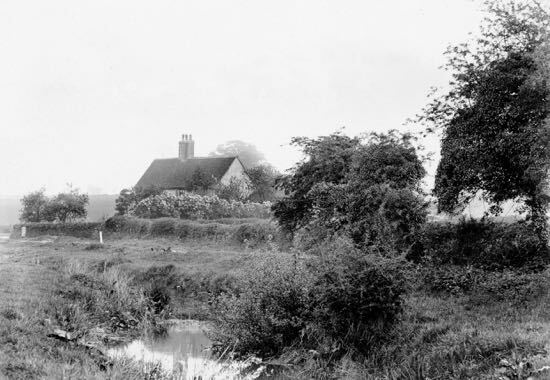 Now the North Mymms History Project (NMHP) is keen to resume the search. Is this the last known photograph of the coal post? The image above is the most recent image the NMHP has found of the Warrengate Road coal post. It was taken in 1972 by historian Martin Nail. Martin runs a site which maps all the coal posts around London. The missing Hertfordshire post is item number 32 in the list. It used to sit on the north-east corner of a triangle of land to the south-west of the junction of Warrengate Road and Hawkshead Lane, see map below. Despite going missing almost 40 years ago, the coal post (grid reference TL 2303 0314) is still listed by Historic England as item “UID: 1103534”. The organisation says the missing coal post will remain listed in case it is eventually found and restored to its original position. And that’s where the NMHP comes in. The site wants to enlist the public’s help to try to find the missing coal post and have it reinstated where it belongs. For those wanting to know more about coal posts, the NMHP has a feature on its site about the coal posts of south Hertfordshire. There is also a piece about the 45 listed buildings/sites in the parish of North Mymms, which includes an interactive map showing all the sites. The map has a black marker in memory of the missing post. 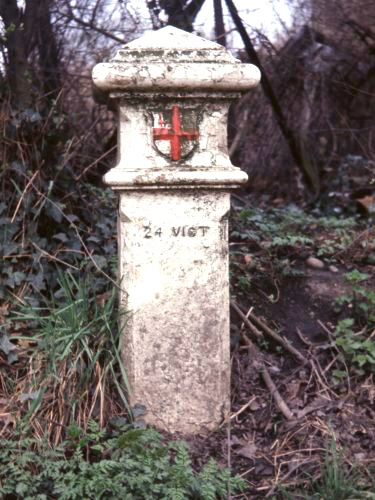 To give the post its full name, it’s a London Coal Duty Marker and, according to Historic England, it was probably cast in 1861 by Henry Grissell (also known as Iron Henry), at the Regents Canal Ironworks. If you think you have seen the coal post, or know where it might be, the NMHP would like to hear from you. And there is a reward for the person who helps the project find the historical landmark - a pint of your choice in a North Mymms pub of your choice. You can contact the site by using the contact form at the bottom of the right-hand column of any page on this site and we will pass the message on. If you have any information to add to this piece, or any comments or suggestions, please use the comment form below. Contributions are pre-moderated, so there will be a slight delay before your comments go live.